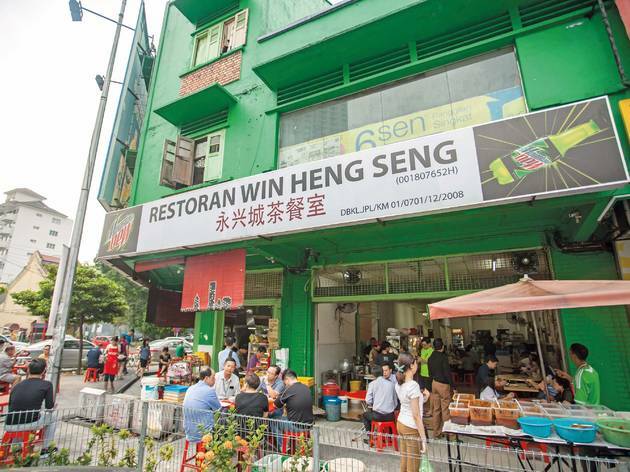 We’re glad to have a kopitiam like Win Heng Seng in the heart of the city. 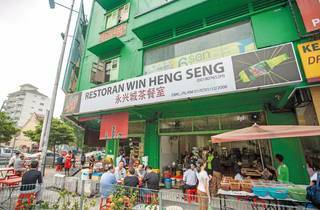 While the place has a pretty impressive array of food stalls, crowds throng here for pork noodles and egg tarts. Join the queue for the mini egg tarts from Tai Zi Ta: tiny, airy puffs of flaky pastry with eggy custard best eaten fresh from the oven.